The Maker Faire is considered the “Greatest Show (and Tell) on Earth.” It brings together the greatest global minds to display invention and creativity. Since its inception in 2006, the event has had over 1 million attendees and has a specialized European Edition known as Maker Faire Rome. 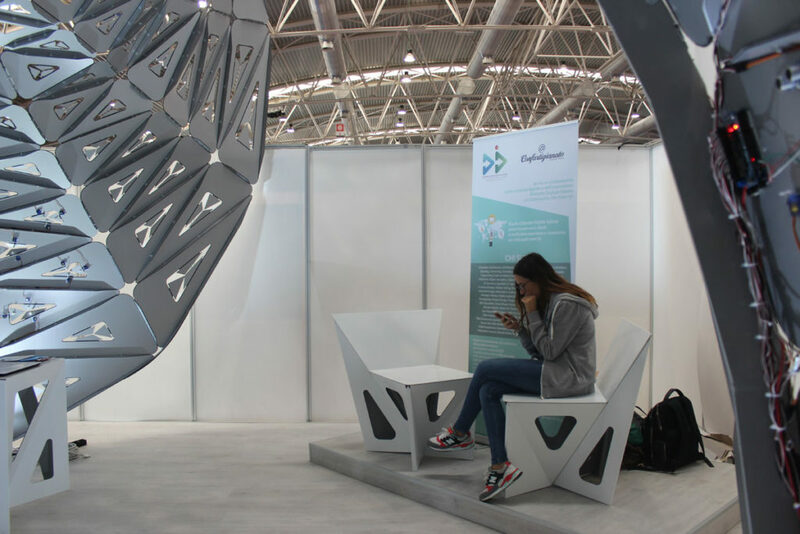 It was at this exhibit that Italian fabricators, Tecno Soluzioni, displayed a Dibond pavilion, designed by MEDAARCH. The pavilion was constructed utilizing a series of Dibond aluminum composite panels in white and gray. Tecno Solutzioni are heavy users of another 3A Composites aluminum composite material, Alucobond. The team does a number of Corporate Identity projects using the ACM around Europe. Yet, for the pavilion, Alucobond was too heavy and Dibond offered a lighter weight for this particular application. 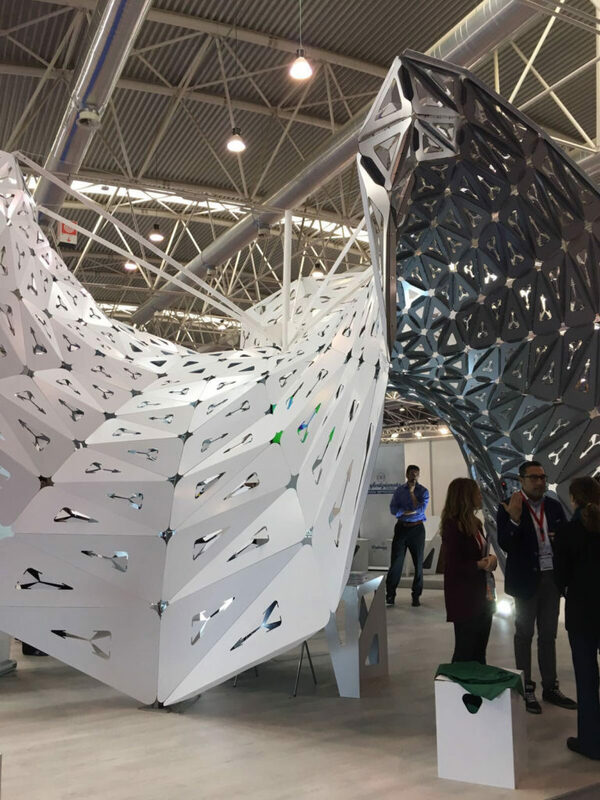 Dibond was specified due to its “absolute flatness, excellent paintability, insurance in lead time and the quality of the material in general,” explains Luigi Nappo of Tecno Soluzioni. For this particular application the fabricators did no treatment of the panels in terms of printing or painting, leaving the panels as supplied. The team further explains they had no issues in terms of the fabrication process and since 3A Composites materials make up such a large amount of their product use or their “daily bread” as they explain, they are constantly pushing the boundaries and testing the limits of what the materials are capable of.